The National meeting of NAPHA was held on March 31, 2017 by conference call. It began at 9:36 am with President Chris Austin presiding and Tina Mewhinney as secretary. We are having a Stallion Breeding Auction, to benefit NAPHA, at our National show in Fort Worth, TX October 20-22, 2017. We sincerely hope you would donate a breeding to that effort. Our Peruvian Horse family has lost another. Our Peruvian Horse family has lost another great man. William Muhlhauser passed in his sleep this past Sunday morning, Feb 26. The Wirth family has extended an invitation to all who would be interested in attending a “Celebration of Life” for Sonja, Saturday, March 4 – between 12 pm and 4 pm at Phoenix Ranch, located at 5170 Kings Corners Road, Romulus, NY, 14541. NAPHA is excited to announce the 2016-2017 Membership directory & Yearbook! We will be producing a membership directory within a yearbook to highlight our national show winners, our Joy of Riding participants, our junior riders and other topics related to Peruvian horses. We are deeply saddened to share the news that Dr. Jorge Galante passed away Feb. 9, 2017. 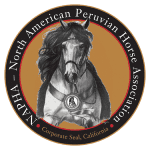 Dr. Galante was one of the top breeders, performers and supporters of the Peruvian horse. Our very sincere condolences go out to his family and friends. Join us for the 2017 NAPHA Annual Conference and Clinic! Congratulations to the following award winners! The NAPHA would like to welcome Tina Mewhinney to the BOD! Tina was elected in the recent election and will join Chris Austin, Pam Castaneda, Carolyn Mittrick, Ernesto Sandigo, Kathleen Morrison and David Averette. The BOD would like to thank Jackie Green for her service to NAPHA.